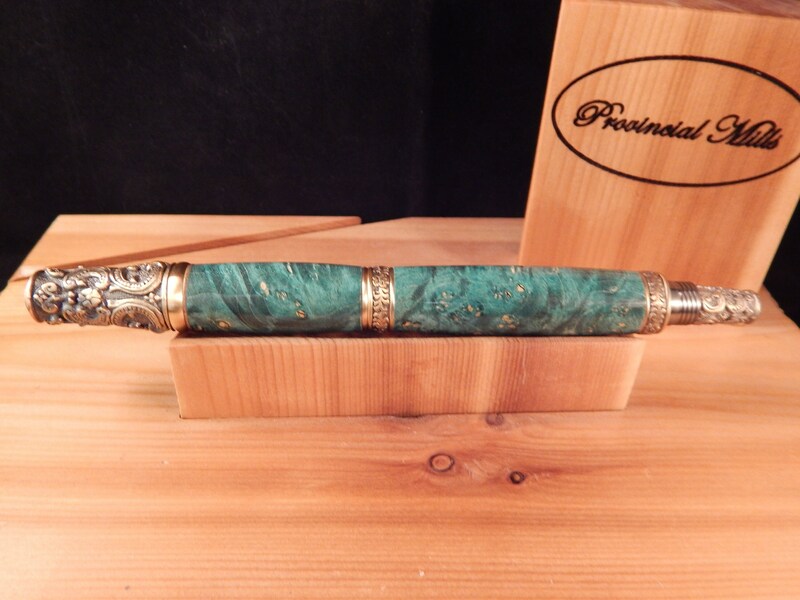 This Victorian fountain pen was crafted from turquoise dyed box elder wood and matched with antique brass fittings. 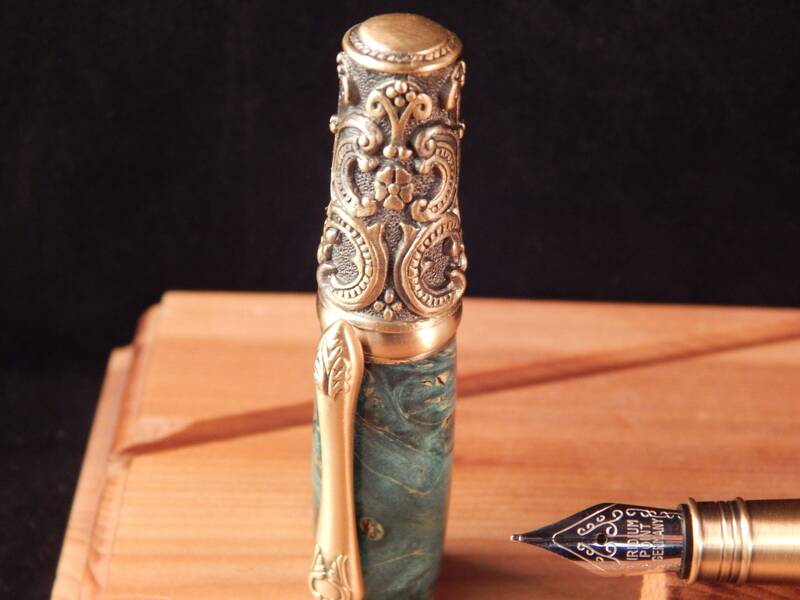 The pen features beautiful Victorian age designs on the cap and center band. 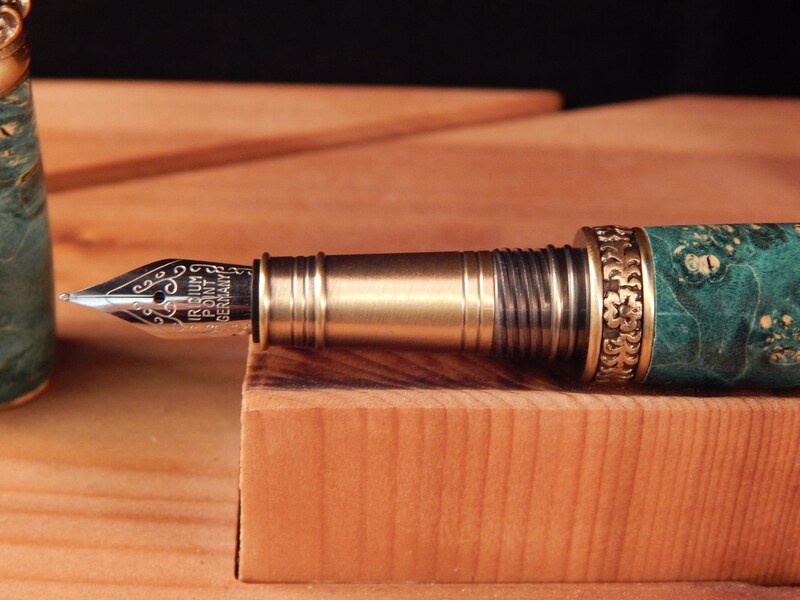 The nib on this pen has an iridium tip (medium). 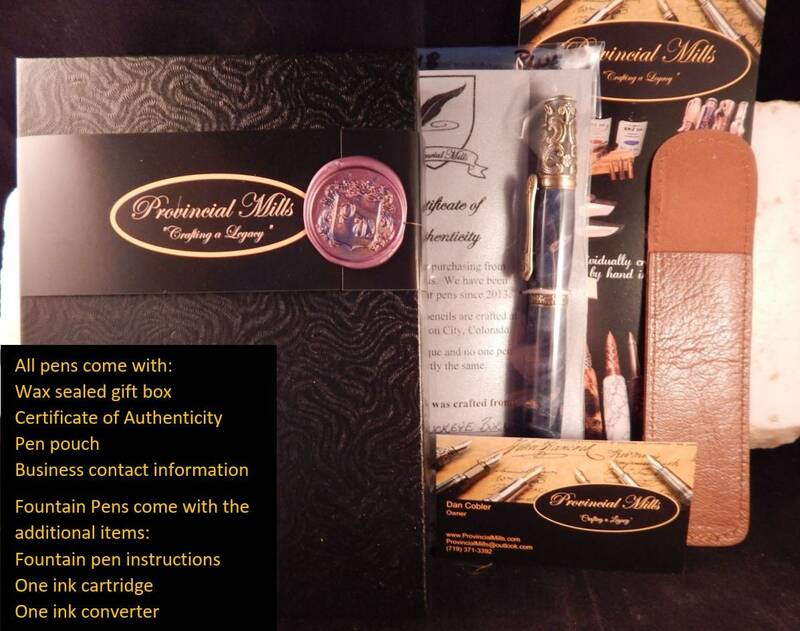 The pen comes with a ink cartridge and a refillable ink pump. 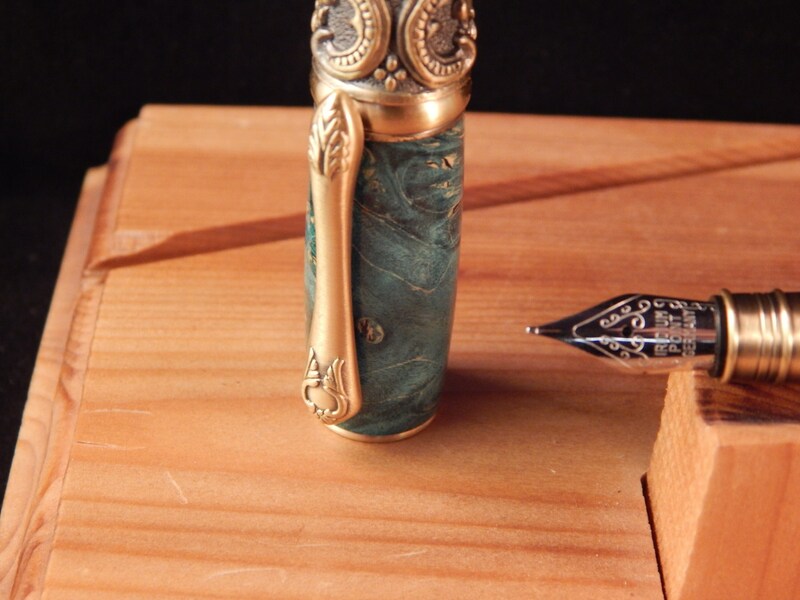 The cap on this pen is a screw cap which can also be posted on the end for easy storage while the pen is in use. Box elder trees are found throughout North America and more densely populated in the eastern and central United States. Box elder wood can vary in color from gray to yellowish brown. Some box elder will have pink or reddish streaks in the wood which is caused by fungus. Box elder wood is weak with poor durability. Box elder wood has little use outside of hobby projects, wood pulp, and creating boxes and crates. The wood is harvested and stabilized (strengthened) to help make the wood workable. 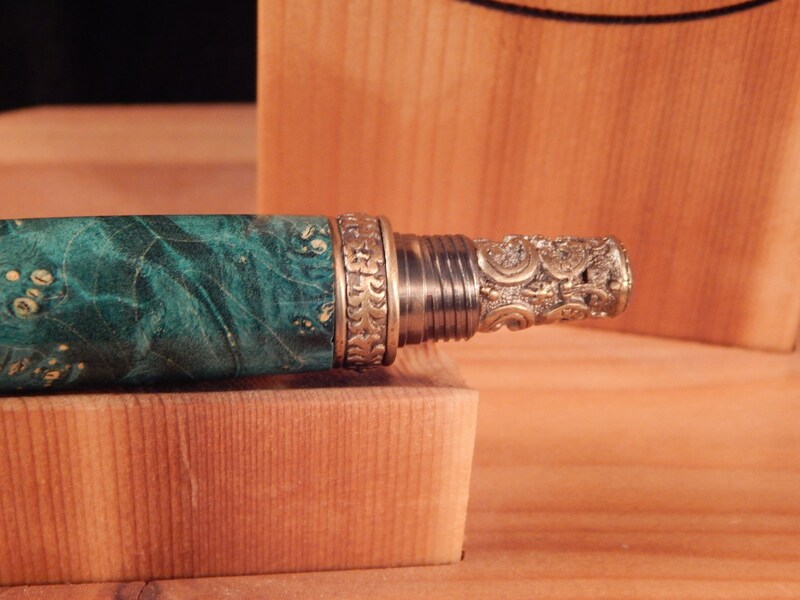 Stabilized box elder is commonly used in turned items due to the unusual coloring and markings. Box elder belongs to the maple family, but the wood is lighter, weaker and softer than most all other maples. I love this pen- this is my first fountain pen, and admittedly I don’t know a whole lot about them, but this pen writes very smoothly and consistently, and is extremely beautiful & seems to be well made. The cap can screw on to the end while writing, but I feel that it unfortunately makes the pen far too heavy. 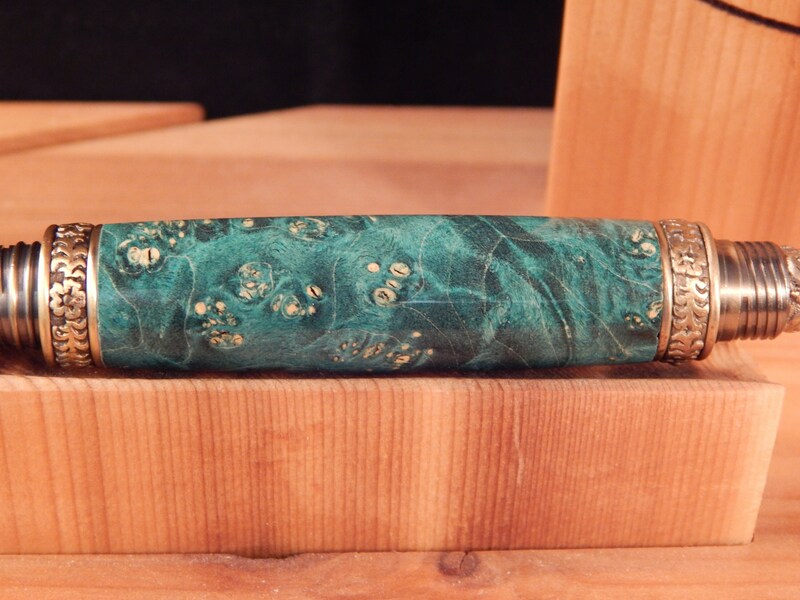 AMAZINGLY beautiful - seller was very kind and helpful! Dan was GREAT to work with. 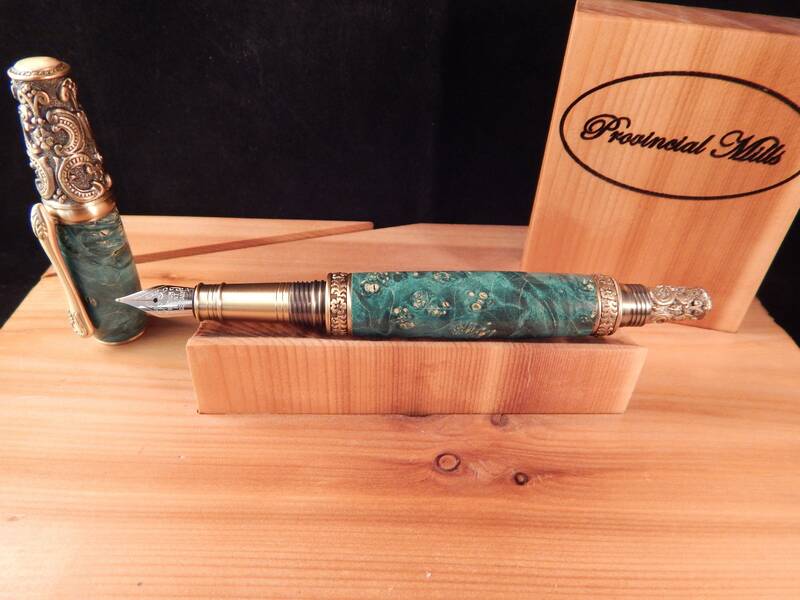 Excellent craftsmanship and the best pens I've purchased. They write perfectly and very smooth. Thank you!